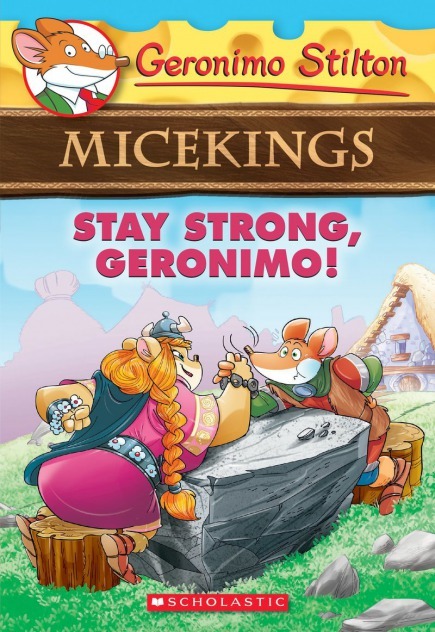 Home › Books › Micekings › Micekings #4: Stay Strong, Geronimo! Micekings #4: Stay Strong, Geronimo! Geronimo Stiltonord has been selected to judge the Miss Miceking competition in Mouseborg, which he's very stressed about. But suddenly, the dragons attack! Crusty codfish -- how terrible! How will the micekings defend their village? Everyone is at a loss about what to do . . . until the Miss Miceking competitors step up and save the day!